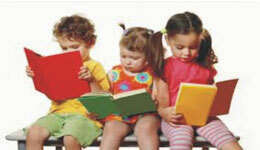 Bihar is one of the poorest, Educationally & Economically backward state of India. It is an established fact that Muslims who constitute the largest Minority comprising about 13.4 percent of the total population and about 73 percent of the total Minority population of the country are one of the most marginalized and deprived communities in India in terms of economic, health and educational indices. The importance of educational empowerment for any community hardly needs to be emphasized. It assumes even greater importance in the context of minorities, especially Muslims, who have been lagging behind the rest. Reports of the Sachar Committee and the Ranganath Mishra Commission have dealt at length with the educational status of the minorities, particularly Muslims. It has been indicated in these reports that while the overall levels of education in India, measured through various indicators, was still below universally acceptable standards, the educational status of the Muslim community in particular was a matter of serious concern. The segregated analysis of state data presents a far less flattering picture of the status of Muslims if one went by place of residence and by gender. There is a significant disparity between the status of Muslims and that of other socio religious communities (SRCs). 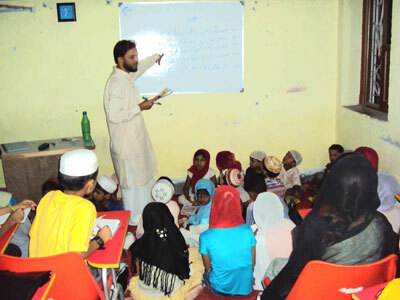 Al-Hind has initiated a number of community-based education projects aimed at underserved communities. Working directly with the communities ensures that our projects are relevant to the communities’ needs and relevant for the future. 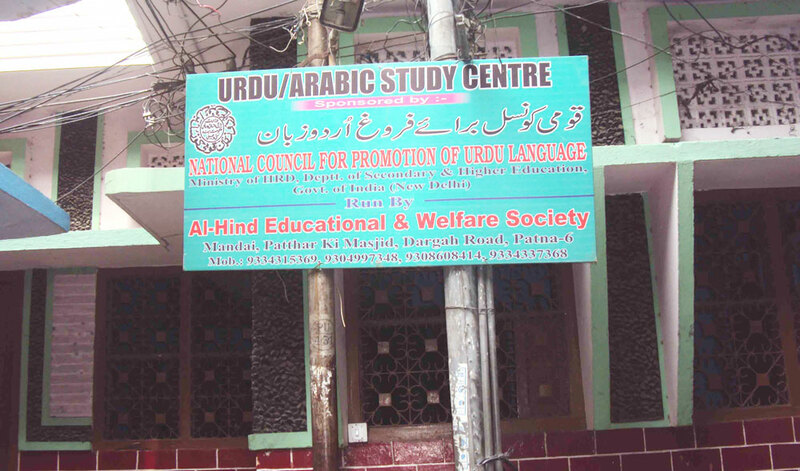 To fulfill the requirement of a large number of learners across the region and popularize Arabic and Urdu Language and its script across the country, the Society has launched One year Certificate Course in Arabic Language & One Year Diploma in Urdu Language through Hindi and English mediums by NCPUL since 2010. After complete the One year Certificate Course in Arabic Language, many students/employee are getting advantage to takes jobs in India, especially in the Gulf and the Middle East. The awareness and education among Muslim Minority people is very low for which they are more backward and away from health, education and social empowerment. Their life being very backward the children are not cared at all. No question of education for their children which make their community further poor and backward in course of time once the children are sent to school and properly taken care of the future of the minority people will be prosperous. The Muslim minority families being below poverty line can not afford to provide basic amenities for their children. As per Sachar Report, more than 50% of the Muslim boys and girls in rural areas and more than 60% of those in urban areas neither go to schools nor to madarsas. The 25% of Muslim children in the 6-14 years age group have either never attended school or have dropped out. 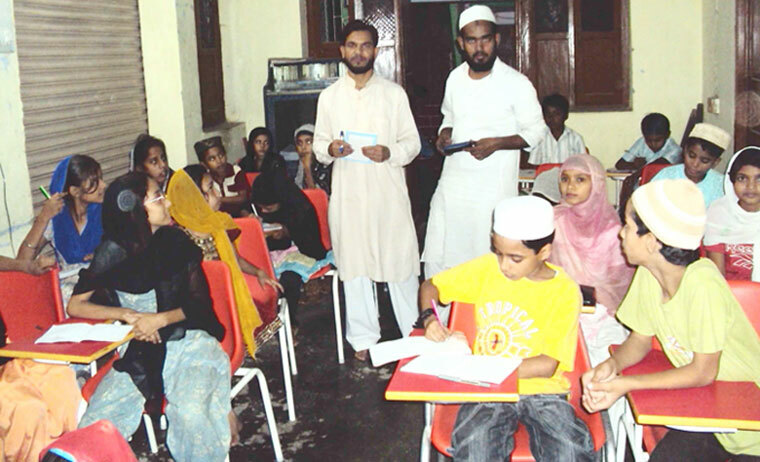 Drop-out rates among Muslims are higher at the level of primary, middle, and higher secondary. Therefore it has been proposed to adapt a minimum of 500 most needy minority children and take care of their educational requirement so that they can complete their primary, Secondry education without awaiting the family backup which is not existent in practice. The scheme aims to assist students through coaching institutions for enhancing their skills and capabilities to make them employable in different sectors. The main focus of the coaching programme is to prepare the students for the Civil Services, Computer / Spoken Arabic, English Language / +2 Intermediate / Medical / Engineering / UPSC / BPSC, Judicial Services, & other Competitive Exam. The course module includes development of core competence, communication skills and personality development.